After solving so many Maths Brain Teasers and Picture Puzzles, it's time now for Logic Brain Teaser. In this Brain Teaser Puzzle Picture, you are given few rows of numbers. These numbers in each row relates to each other by some Mathematical formula. Can you decode the Maths Pattern which relates these numbers and solve this Logic Brain Teaser? 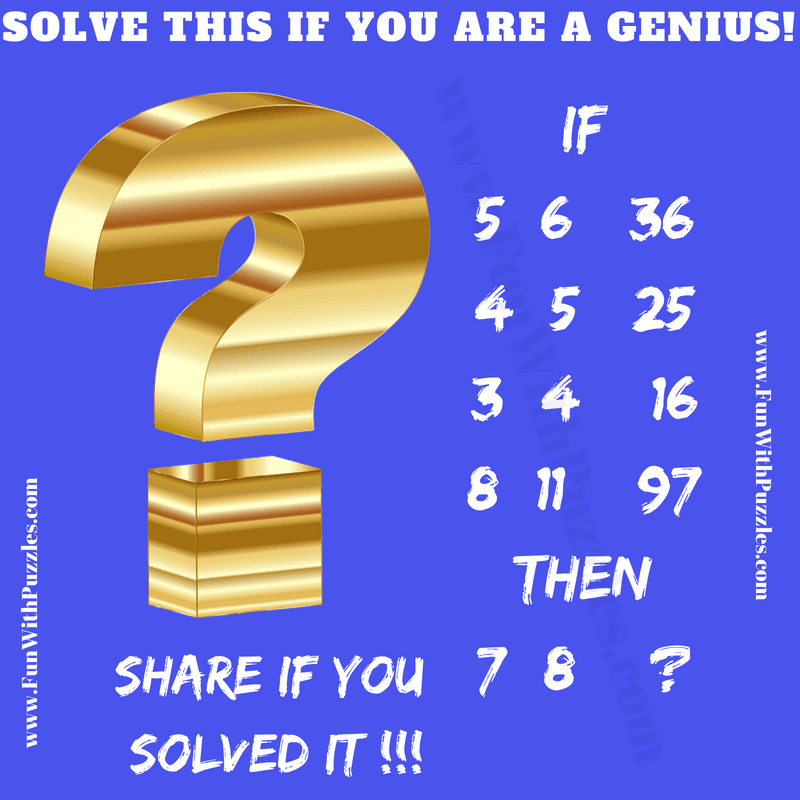 Can you solve this Logic Brain Teaser? Answer of this "Logic Brain Teaser", can be viewed by clicking on answer button. Please do give your best try before looking at the answer.